The Elizabeth Moir School’s latest production ‘The Canterville Ghost’ will go on board at the Punchi Theatre from February 22 – 23, 2013.�‘The Canterville Ghost’ is the story of an American family who move into an old English stately home called Canterville Chase. The owner, Lord Canterville, has been unable to sell the house because of its inhabitant – a ghost. The play follows the fortunes of the American family as they try to live alongside the ghost and, eventually, assist him to find salvation. In the school’s adaptation of the play, however, it is not the Otis family who move into Canterville Chase, but the Fernando family. 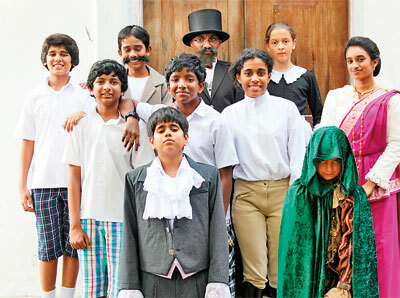 The play is directed and produced by Gayatri Natarajan and Elinor Galapitage.�‘The Canterville Ghost’ promises to be another entertaining production by the school and is a must see for those who enjoy comedy.� Tickets are available at Elizabeth Moir Senior School at 4/20 Thalakotuwa Gardens, Colombo 5.